Here is the home from the outside. We love the charming design and the clean lines. The view here is spectacular. It's all yours for the duration of your visit! A beautiful sunset. Thanks to JDK for the photo! 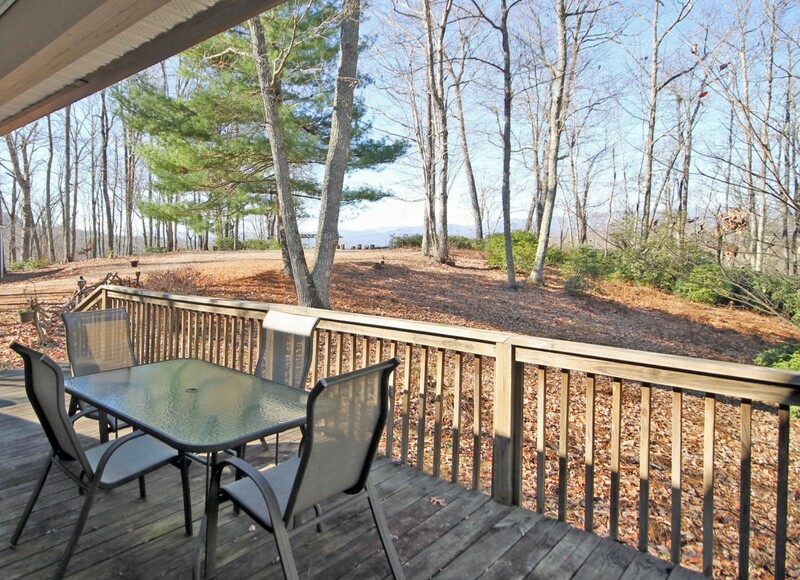 Enjoy wooded privacy on the front porch as you look at the scenic view in the background. This is the view from the front door, looking directly into the home. Lots of great comfortable seating in the living room area. Curl up and enjoy a good book, or relax with friends and family! Cute dining area just beside the kitchen. 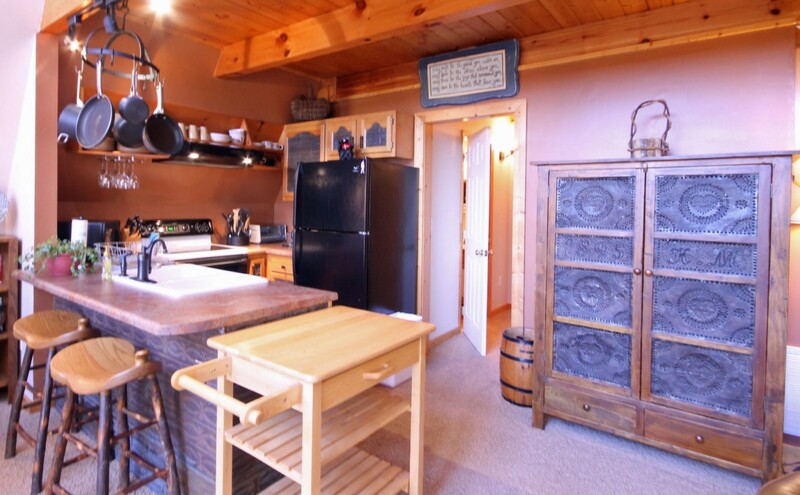 Here you can see the barstools facing the kitchen, and the hallway leading to the downstairs bedrooms. Here you get a great feel for the beautiful A-frame design. 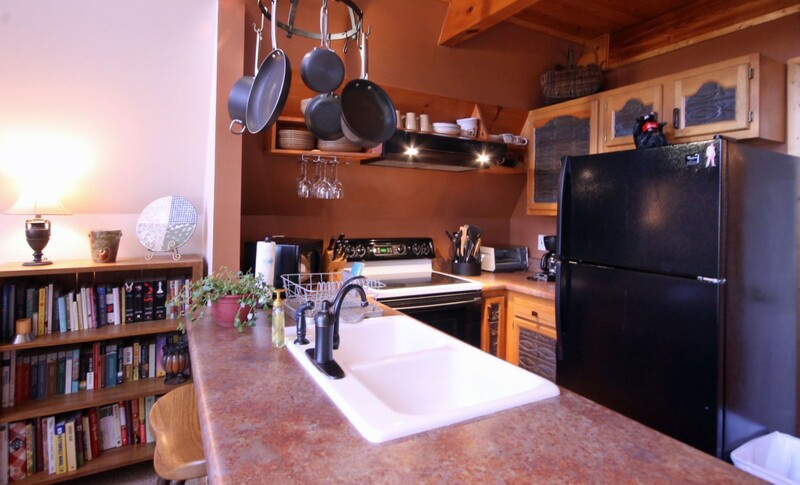 You will find everything you need to cook great meals while you are here. This is your view while you are in the kitchen. This is the full size bed in the first downstairs bedroom. We love the warm cozy feel of this room. Another view of the first downstairs bedroom. 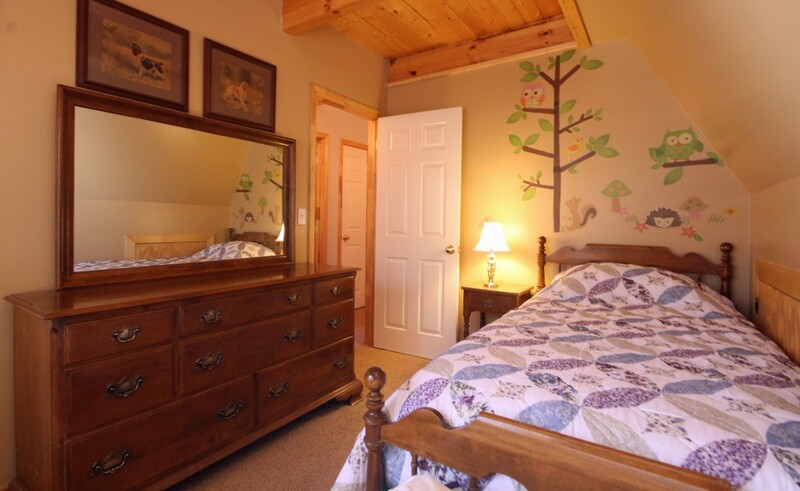 Here is the second downstairs bedroom, featuring a twin bed and whimsical walls. It's a great room for kids, and a warm inviting space. 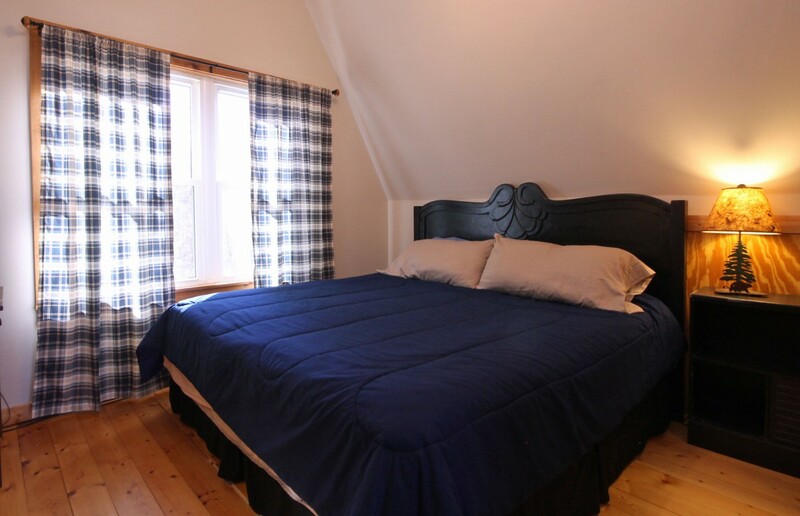 The Master Bedroom featuring a King bed is located on the upper floor. This generous space has a great warm feeling and is very relaxing. This is the view of the master bedroom looking back toward the entry on the right. The door to the left is the half bathroom. This is the view you will have from the fire pit, just beside the gazebo. A beautiful way to spend your vacation time! 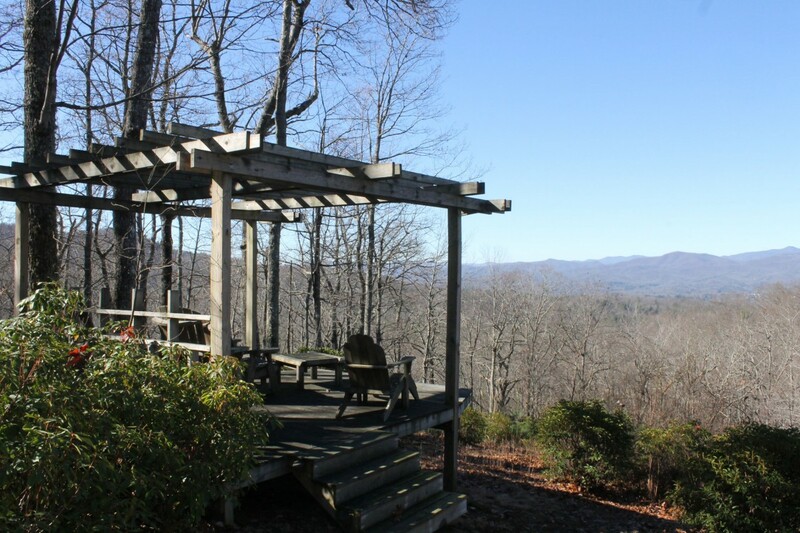 The gazebo invites you to come and sit as you enjoy the spectacular mountains that surround Brevard. 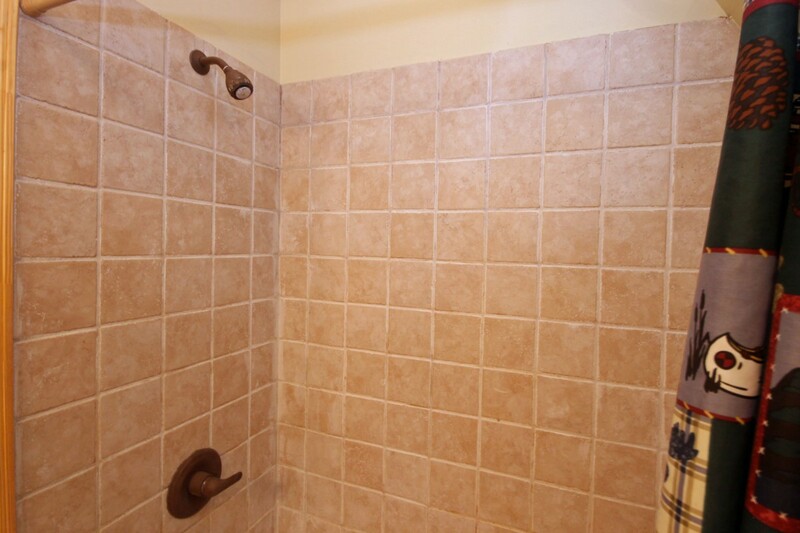 We love the tiled shower! A great place to curl up with a book, or use the desk for your computer! The balcony area features a futon sofa and a foot rest. A good place to relax. We love the feel of the wood beams that stretch out over the living area. Looking in at the downstairs bathroom from the entry. This photo shows the living room, the dining nook and part of the kitchen, looking out toward the front porch. 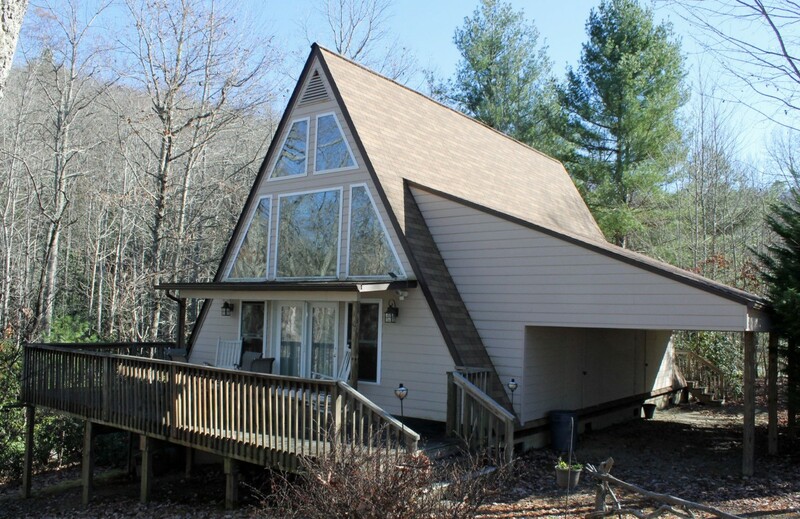 Our family has owned this lovely A-Frame home for many years and it has been our personal retreat. There are lots of good memories here, and we love the realxing, peaceful feeling we get when we arrive. We leave the rest of the world behind for a while as we enjoy the spectacular view from the gazebo and the cozy atmosphere of the great room. We are looking forward to sharing this experience with you. The home is located in Pisgah Forest, which is just beside the City of Brevard. From here you can easily reach DuPont State Forest which features beautiful waterfalls, miles of great hiking and biking trails and is the location where many scenes of the first Hunger Games film were shot. You can also visit Pisgah National Forest for more waterfalls, hiking, mountain biking and access to the Blue Ridge Parkway which features spectacular views and scenic driving. Be sure to check out the appropriately named Gorges State Park, another amazing reserve which is truly gorgeous. You are in the heart of fly fishing territory here, so be sure to bring your gear! Brevard is about ten minutes away, and it has a wonderful small town feeling. Check out the shopping, dining and scenery as you walk down Main Street. Be sure to check out The Proper Pot, a great kitchen store that also sells wine, cheese and other yummy snacks. Another favorite is Main Street Ltd., a great gift shop right next to Quotations Cafe which is known for the occasional patronage of Steve Martin, a seasonal Brevard resident. Of course, Brevard is home to the renowned Brevard Music Center, and is also host to annual festivals including the White Squirrel Festival every Memorial Day Weekend, great 4th of July festivals, the Mountain Song Festival every September, and lots of fun activities on Halloween (Brevard is in Transylvania County, after all). Hendersonville, Asheville and Greenville SC are all less than an hour away, and each offers a unique experience. If you want to try ziplines, check out The Gorge in Saluda which boasts the fastest, longest and steepest ziplines in the world. Lake Toxaway, Highlands and Cashiers round out the other nearby towns that you might want to include in your itinerary. We hope you enjoy our little home as much as we do, and we look forward to hosting you. Our property is managed by Pete Key Properties, and they are here to help if you have any questions or need assistance with anything. Thanks for visiting, and we hope to see you soon! We are local to Western NC and needed somewhere to stay for an extended time while our home is being repaired. This was exactly what we needed during a very stressful time. The house was bigger than what the photos seem to convey. It was beautifully decorated and very clean. We had everything we needed, plenty of blankets and kitchen tools. My toddler and dog loved running around the big yard. Although you cant really see the neighbors, a few did stop by to say hello. And then there is the view! Something else that cant be understood with a photo. The sunsets truly breathe taking. Thunderstorms are also something special to experience. Thank you for making this better than we excepted! We would have stayed another month but this house books fast! It was a pleasure to host your family while your home was being worked on. We are so glad that you enjoyed your stay! My husband and I had such a good time at this house. It was a beautiful setting with lots of privacy. The house was clean and well equipped with everything we needed. We had a great time and truly enjoyed ourselves. We are so glad that you and your husband enjoyed your stay! We stayed here for 17 days. The layout of the house was idealic. We had a marvelous quiet time there. Great area, great food in Brevard restaurant called Marco Trattoria. Nice grocery store. Be careful if you plan to stay in winter bc we had a big snow storm and the roads were difficult. The staff were very helpful. It was a pleasure to host your stay at Scenic Site. You managed to come during the worst winter snow storm we have had in years! We are glad that you enjoyed your stay and appreciated the winter magic and beauty of the snow covered mountains. Really enjoyed our stay in this quiet little house. It was very clean, and the instructions were very clear. Sitting by the fire outside as the sun went down was lovely. Great view, well worth it! Thank you for staying at Scenic Site we are glad you enjoyed it. The view and sunsets and sunrises really can't be beat. Property and it’s location are amazing. Beautiful view from the patio! You came during the perfect time of year to enjoy the fall views. We are glad that you enjoyed your stay. Glad that you had a great stay. The views from the house are really beautiful. 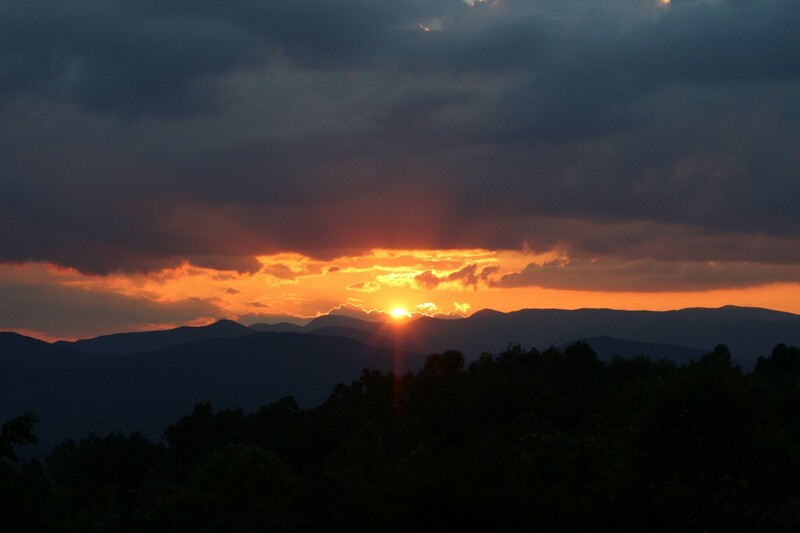 "Mountain hideaway with incredible view" only just begins to describe the beautiful sunset vistas this cabin offers. The evenings outside by the fire pit alone are worth the cost of the rental! The cabin was clean, comfortably furnished, and close enough to both town (15 min) and every hike we wanted to do (30 min), so that we weren't spending an inordinate amount of time on our long weekend in the car. We love Brevard, and if we head back that way again, we will choose to stay here again. What a lovely review. We are so glad that you enjoyed your time at Scenic Site! Great property, we have stayed there before, and love the solitude and views. Simple unit, cozy but small. Seemed to have some remnant dog hair in the linens, likely from the previous guests, which triggered some allergies... beautiful weather made up for it! We appreciate you staying at the house again and are sorry that there was some dog hair on the linens. We will spoken with our housekeepers and have remedied the situation. We hope that you can come enjoy the house again in the future. Memories that will last forever at a place that was as equally amazing! This is the best kind of review to read. We are so glad that you had a wonderful stay. Great cabin for our short weekend mountain/hiking adventure. The house had everything we needed. Incredible outdoor space with gorgeous views. It was cozy and very clean. We cooked in for all meals and the kitchen had everything we needed. My golden loved it too based on his many laps running outside. Thanks for a great stay. We are so glad that you enjoyed your stay. 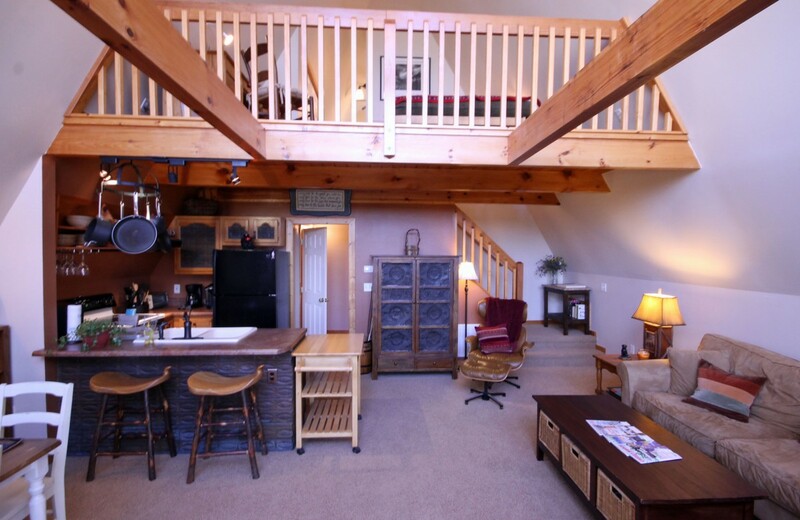 The property is just the perfect place to relax and unwind and dogs love it up there as well! We are glad your family enjoyed your stay. We hope you can come stay and unwind again soon. Thank you for staying at Scenic Site.We find that most guests spend the majority of their time enjoying the peaceful outdoors and unplugging for a bit While at the house. The house does have a smart TV, Wifi, and a dvd collection for guests to use. My Girlfriend an I spent 4 wonderful nights at this property. It is well equipped with everything you might need. The view is amazing!! House was clean and very comfortable. 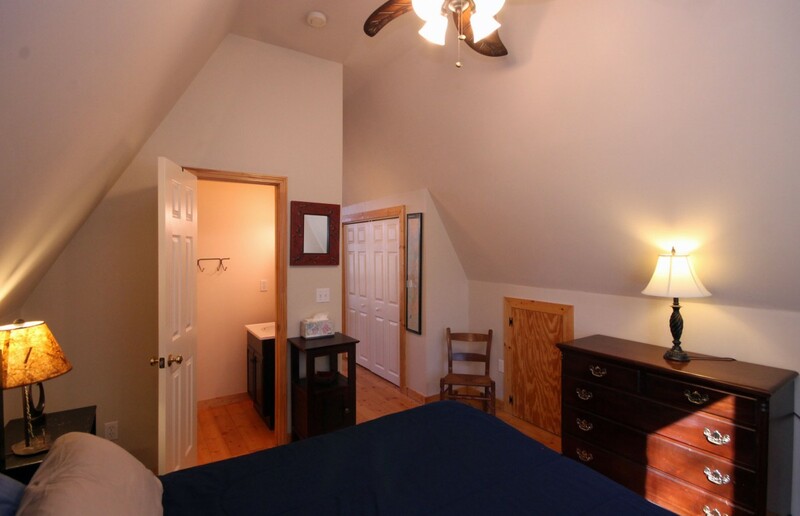 We only used master bedroom upstairs but bed was comfortable and clean. Kitchen is well equipped and even had 4 mugs iced in freezer. Cant recommend enough. Our time there was perfect. Close to Brevard yet very private. Didn't see another person on road or at property! Would defiantly return and have already recommended it to others should they visit the area. We are so happy that yopu and your girlfriend had a great stay. We hope you can come again. Well-equipped A-frame with a stunning view. 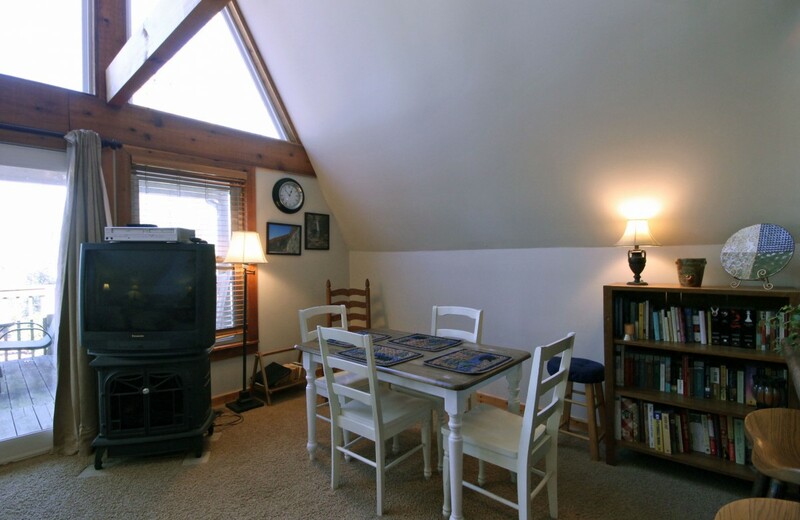 A quiet, private setting that feels isolated but is conveniently located. Ample room for at least five, both in terms of sleeping and lounging. A place youâ€™ll want to visit time after time. This place is exactly what we were looking for. Peace, and quiet, it was so nice inside, loved everything about it. Would have liked an alarm clock but it was the only thing I needed. I will be booking over and over every year to come back here again. Thank you. We are so glad that you loved your stay! We look forward to hosting you again. We had a family gathering at this cabin. It was a comfortable. Well equipped kitchen. Fabulous view of the mountains. We had a great time. Thank you fir staying. We are glad that you you and your family enjoyed your stay. Upon arrival, I was VERY pleasantly suprised to find exactly the rental I wanted and had been advertised. Actually, MORE than advertised! I was suprised how clean and roomy the home was and those little touches that make a rental "feel" like home. The sunsets were spectacular to say the least. Overall, I would rate this property 10+. I would highly recommend this property and property management company to everyone. We are so glad that you loved the house. We hope that you can come stay again. The A-frame cabin was the perfect size for my family of four (and small dog). It was clean and included most of the household amenities you would expect. The observation deck and fire pit were nice touches. Very quiet, secluded spot to get away from it all. Brevard is a short drive away for groceries. DuPont forest and Pisgah are amazing. We are glad that your family was able to come to the house and enjoy the property and the forest. We loved our stay at this beautiful A-frame. The clouds parted on our last day and gave us a wonderful view! 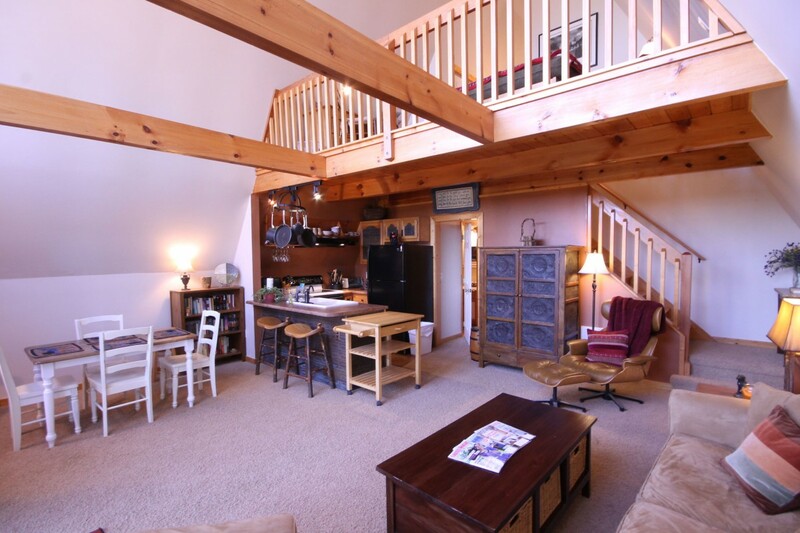 The house is dog friendly, which is a huge plus, and has everything you need for a great weekend in Brevard. The owner/manager was very responsive to a random follow-up email I sent. We will probably make a return trip in the future. The views from Scenic Site are breath taking we are so glad that the weather cooperated and you where able to enjoy it. Thank you for staying! 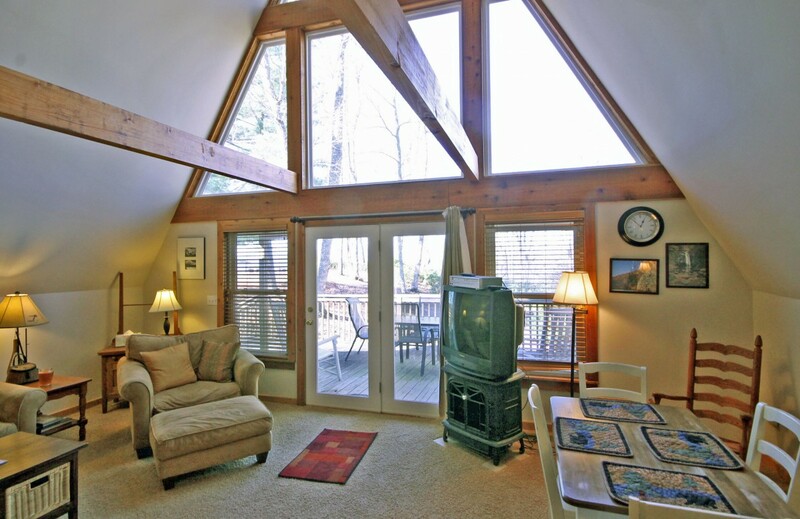 This A frame cabin is exactly what we were looking for. The location was perfect, up on the mountain with a beautiful view of the mountains and Brevard. (Also just minutes to Brevard which is so convenient for activities and shopping.) The house was very clean and had everything we needed. The kitchen had enough pots, pans etc for us to cook some. We used the firepit one night and enjoyed the sunset behind the mountain and watching the lights come on in the valley of Brevard below. While staying here we hiked on trails in Pisgah 2 days and went into Asheville 1 day to the Biltmore and visited some breweries. Also spent time in Hendersonville...everything is an easy drive and very closes by. We will definitely recommend and come back! It sounds like you had a perfect stay! We look forward to having you back. It sounds like you had such a lovely stay at Scenic Site Lane. We love when guests can unplug and refresh during their time at the house. We hope you can come back again! we had a great couple of days on fall break staying at this rustic little cabin just south of Brevard. 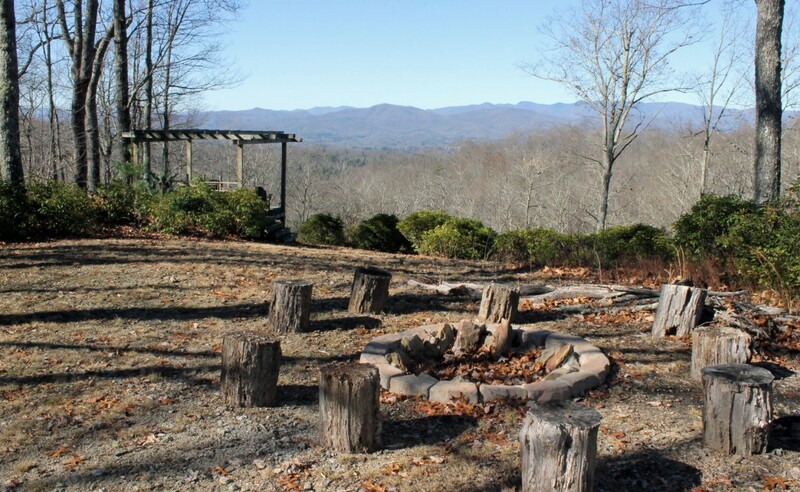 We enjoyed the outdoor space just as much with a beautiful view of the Pisgah Forest. The views are truly breathtaking glad that you enjoyed them! We had a wonderful time staying in this cozy home. The kitchen was well appointed and there was every appliance you could think of ready for use. The view was amazing and we really enjoyed having a fire in the fire pit while watching the sunset. We just relaxed in the evening and watched some of the videos available for guests. Very relaxing. Will definitely go back! So glad that you enjoyed your stay. We look forward to having you come stay again. We thought this house was great! It's well-kept and had a fantastic view to take in at the end of the day. We are so glad that you enjoyed your stay and the view. We were in Brevard to see the , Mountain Song, bluegrass festival. In lieu of that, not much time was spent at , Scenic Site; plus we had to leave a day early because of storm, Irma. The view is indeed worth the rental and staff was available and prompt with inquiries. Hope to come back and linger a little longer next time. We hope that you can come back again soon and have a little more time to relax and take in the views again at Scenic Site. Thank you for staying! We absolutely loved the home, especially the location. It is very close to Brevard, but feels private and secluded. The view from the campfire and deck area is amazing. The home is very comfortable and clean. The property manager communicated very promptly with all the details needed. There are lots of waterfalls and hiking trails within a short drive. We would definitely stay again. The location really can't be beat. You get the feeling of seclusion with just a short easy drive to town. We are glad that it was a good fit for you and look forward to hosting your stay in the future. My family had a wonderful time at this gem of a property near Brevard. The views are simply breathtaking! The cabin had everything we needed for a comfortable stay and the location is perfect, close to Brevard, Pisgah National Forest and DuPont. A drive up 276 last Brevard gets you to one of the nicest parts of the Blue Ridge Parkway in 45 min. The drive is much easier than many cabins with a comparable view. 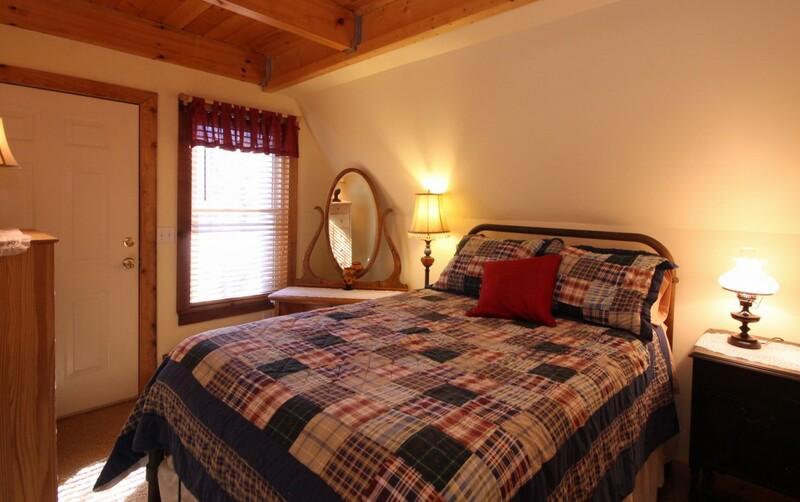 The beds and furniture are very comfortable and the cabin affords plenty of room for a family of 4-5 or 2 couples. When we arrived, we watched a deer walk right up on the property close to the house. The property is very quiet and there is plenty of outdoor space to hang out and a large fire pit to roast marshmallows for s'mores. The owner Pete Key was very friendly and accommodating. We will definitely be back! It makes us so happy to read a review like this. Our goal is to provide guests with a home away from home where they can rest and relax and enjoy the beautiful Brevard has to offer. We are so glad that you enjoyed your stay and look forward to having you back. Perfect for us and our 5 month old little girl. Thank you for staying! We are so glad that you and your family enjoyed your stay. Our family of four loved this small, cozy, but well equipped and stunningly situated A frame cabin. Favorite activities were evening campfires in the beautiful fire pit, and morning coffee on the overlook deck/pergola. Hard to beat the view. The driveway is long but it is really only 10-12 minutes to downtown Brevard with lots to do there. We'll look forward to coming back if we can. It sounds like you and your family had a wonderful stay and had a chance to slow down and relax. We appreciate you staying and hope you can come back again. Great experience for our family loved the property and the view. Close in proximity to all our activities in Brevard, Pisgah National Forest, and Dupont State Park. Thank you for staying. We are so glad that you all enjoyed your time. This is the second year that we've come to the property. We've been coming to Brevard on and off the past 20 years and this house and Ambiance is incredible. We used to come 2 mountain bike and now we come to make memories with our five year old at the house and the surrounding area. Pete Key Properties has always been tremendous professionals and incredible help. Thank you for coming to stay at the house again. We look forward to hosting your family again! This A-Frame property had an incredible view!. We drank coffee out on the mountain overlook deck and watched the sunset by the campfire. Very secluded and wooded. Felt like we were out in the middle of no where and had no worries. House was very clean and not over decorated. Outdoor space was the best! We are so happy that you enjoyed your girls get away. Thank you for renting! We thoroughly enjoyed our stay. The cabin was very clean and well equipped and nicely decorated. We could not have asked for a more beautiful view. We are glad that you enjoyed your stay. The view really is breathtaking. We hope that you can come stay again. Really nice mountain view with sunsets. If you can live without cable tv, this is a great stay! Close to everything. Thank you for staying! We are looking forward to hosting your next stay. We do have a blue ray player so you can log into your Netflix account. Great place - close to Brevard and AWESOME property that felt secluded with a great view. Will definitely be staying here again. Thank you for staying at the house. We are so glad that you enjoyed your stay and look forward to having you back again. The house is very well furnished and equipped. Location is great for accessing Brevard, Pisgsh and DuPont. Mountain views are grand. Private and very comfortable. Kitchen is smallish but we'll-equipped and functional. We made most meals at home and had convenient grocery shopping in nearby Brevard. The view from the house is breath taking and change so much with the seasons. We are glad that you where able to relax and enjoy them. Thank you for staying at Scenic Site. The property was amazing, great service, plenty of stuff to do around and let me tell you the view was just breathtaking!! Highly recommended, definitely coming back! We are so happy that you loved your time at the house! The view is breathtaking and changes some much with the seasons. We look forward to having you stay again. We had a lovely Christmas stay at the cabin. It was such a joy to be with family and experience the warmth and coziness the cabin offered. The view is incredible!! I would definitely recommend a stay here! We love to read reviews like this. 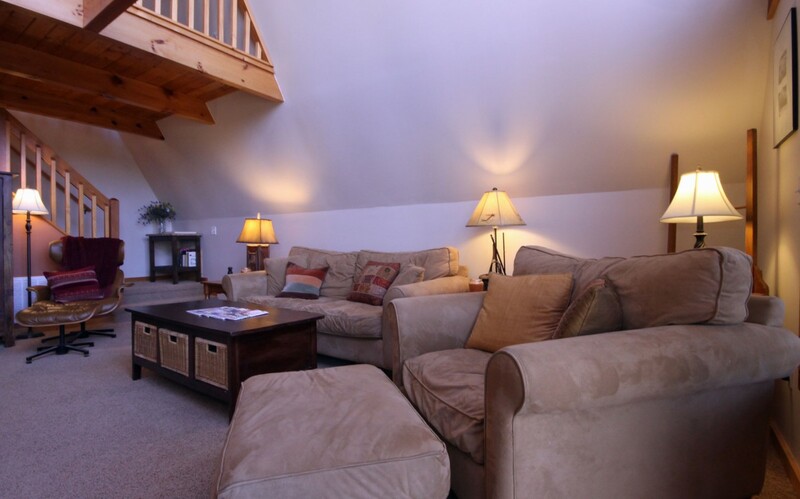 Providing a home away from home to make memories and unwind with family and loved ones is our goal. We hope you can come stay again and enjoy the view when the leaves are on the trees it is breathtaking. My husband and I, another couple, and our dog stayed here in October and had a great experience. The cabin is up in the mountains and has the BEST view. Our dog loved the space as well. We did a lot of hiking in Pisgah Forest, so we were close. We also drove into downtown Asheville twice (once on the way home) and it was just about a 45-50 minute drive. We loved it. We plan to come back to Brevard/Asheville and if we don't bring more people next time, we would definitely look to stay in this cabin again! Thank you for staying at the Scenic Site house. The view is incredible and we hope you can come again and experience it in the spring or summer. Pisgah Forest offers so many great places to hike and swim during the warmer months. The view was fantastic! The cabin was very private and wooded with good separation from other neighbors (none visible). We enjoyed everything about our stay and wouldn't hesitate to come back! This cabin exceeded our expectations. The pictures don't do the view justice. You will find yourself sitting on the lookout deck for hours. Very clean home with a great yard for dogs. Great bonfire area. Had everything we needed but we did bring a grill. I would recommend moving the living room tv in case someone tries starting the gas heater it sits on. 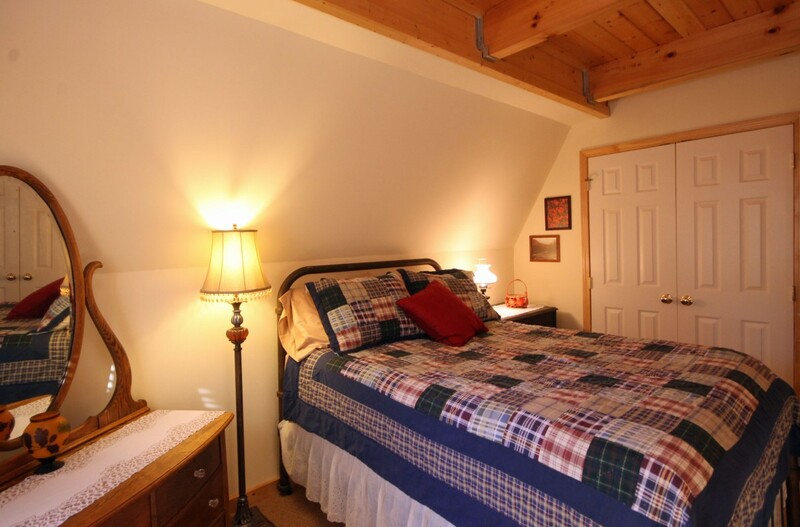 Close to Brevard which has everything you want in a mountain town. Short drive to Pisgah trails and Dupont falls. Took advantage of the area but we didnt want to leave the house. We plan on returning in the spring. I am picky about properties and i highly recommend. We are so happy the you were pleased with the house and the location. The views are truly breathtaking and the look out deck is a great place to sit and unwind. we hope you can come stay again soon. 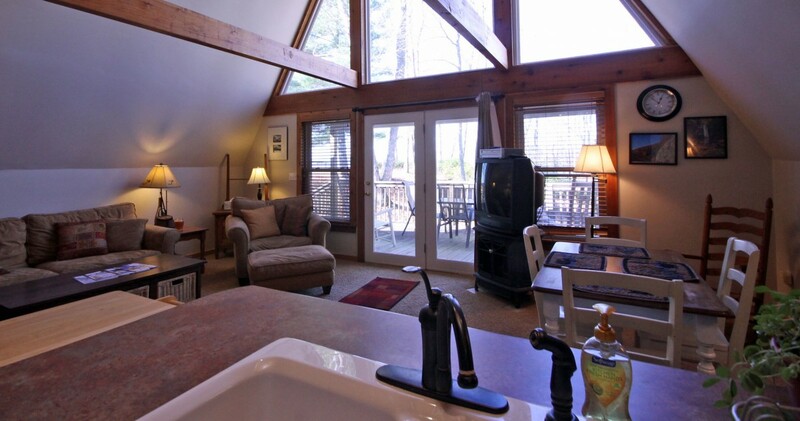 Very nice accommodations just outside of Brevard and very convenient to Dupont Forest. The house is in a convenient and beautiful location we are glad that you enjoyed your time there. My family (myself, wife, and two kids) and I spent Labor Day weekend at this cabin; we could not have been more pleased. The cabin was clean and nicely decorated, and was plenty big enough for the 4 of us. The location is great - far enough outside of Brevard that you feel alone, yet close enough that you can easily and quickly get into town. The mountain view was spectacular - we never tired of looking at it. Overall we were very pleased with our choice. We are so happy that your family enjoyed your time at Scenic Site. We hope that you are able to come stay again soon. We enjoyed our honeymoon weekend at this gorgeous location. We loved the view and loved the house. Everything was in wonderful condition. We loved the cabin and would love to stay again but probably will not due to the total cost. 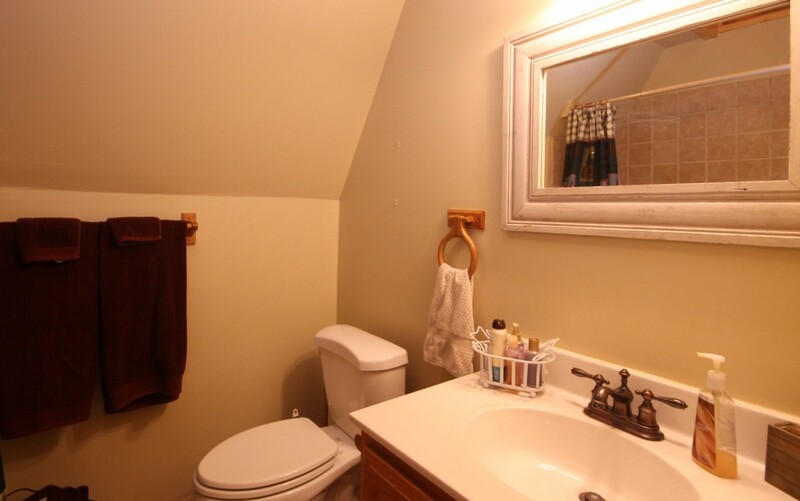 We understand that you're paying for the view, privacy, and cleanliness of the house. However, a weekend in the mountains for $400+ for two people is ridiculous, especially for a check-in time after 4 p.m. on Friday and check-out time at 10 a.m. on Sunday. At most, you're getting a day and a half in the mountains. It is a shame that this cabin seemed so affordable until VRBO added taxes and charges; we would love to book again but not through VRBO. If it had not been our honeymoon, we would not have spent this kind of money. The place was very nice and clean. Great view of the mountains and close to waterfalls. We had a wonderful time. Thank you for choosing to spending your anniversary at the house. We are so glad that you enjoyed to your stay. well the air conditioner stopped working before we got there on a Sunday but by the time we arrived, it was fixed. The rest of our time there was very good. everything worked and the view was breathtaking. we are looking to come back for the fall colors. We are sorry that there was trouble with the AC before you arrived . We are so glad that we could have it all taken care of before your arrival and ensure that everything was in place for you to have a great vacation. Sounds like you did! We hope you can come back in the fall. Our family of four (+dog) had a fantastic stay at this mountain getaway. We spent our days adventuring around nearby Brevard, DuPont, and Pisgah, and our nights eating on the patio, roasting marshmallows by campfire, and taking in the gorgeous view. Everything was clean and in good working order upon arrival and we had no issues. We look forward to a return trip! What a perfect summer family vacation. Thank you for staying! Thank you for renting the house. We are glad you enjoyed your stay and appreciate your feedback. This was our second time to this property, so we knew what to expect. Again, it was great! 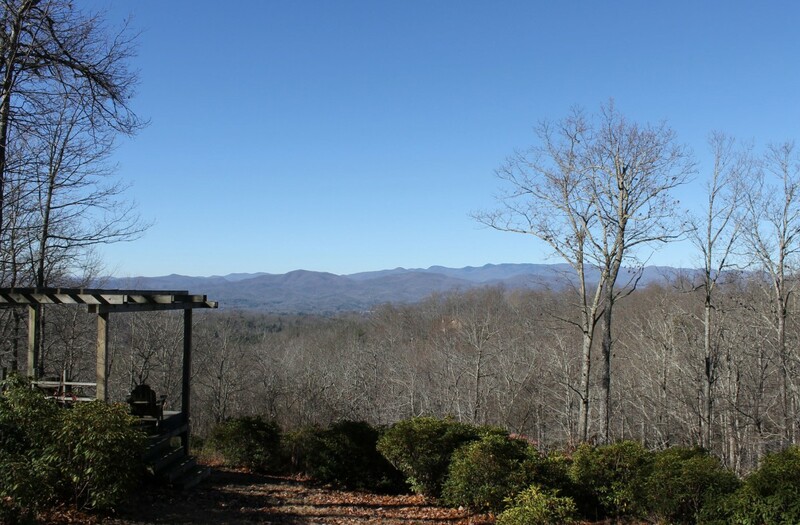 This property takes a bit to get up the mountain, but it gives you the quiet privacy, while still being close to Brevard, and the national forests. We did have an issue with the AC, but the management company was on top of it, and the owner even came by to make sure the issue was resolved. Thank you so much for renting the house again! The cabin was just perfect for us. Very quiet but reasonably close to civilization. Very quiet but the view.... awesome!!! An awesome view is just steps from the door where we watched and photographed the awesome sunsets. The owner responded to all questions quickly during the process. We will return! Thank you for renting the house. The sunsets are truly breathtaking it is a great place to slow down and enjoy nature and all her beauty. This is a wonderful place to stay. We enjoyed the home and the view. It is easy to get to wonderful places to hike from this mountain hideaway. We always made it back before sunset so we could sit outside and enjoy this amazing view. Its so great to hear that you enjoyed your stay and that you got to enjoy the beautiful sunset each night. We had a great time. Weather was wonderful if a bit windy for fishing. Still enjoyed our selves. Home was lovely and property manager was easy to work with. Thank you for renting the house. Sorry to hear that it was to windy for fishing. Hopefully you can come back again soon and give it another try. Some friends and I rented this house for a short weekend mountain bike getaway. The house was very clean, plenty of towels, and came with a gorgeous view of the mountains. It was just a short drive to town and to all of the amazing trails that Pisgah and DuPont have to offer. The incredible view from the gazebo and the fire pit were a great way to wind down after a long day of riding. We will definitely be back! Thank you for renting the house. It sounds like you took advantage of the location and got to enjoy some time in the mountains. We hope that you can come back soon. We loved the cabin. It was a perfect location for hikes in Pisgah National Forest. We were allowed to bring our dogs which made it a perfect trip. 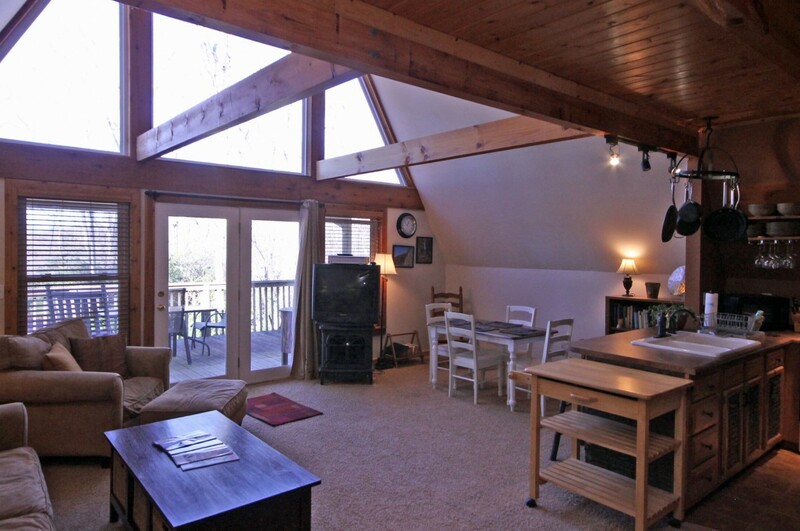 The house truly is the perfect place to use as a home base when exploring Pisgah Forest. Glad that you enjoyed your stay with your dogs! Great views! Cozy house, secluded but very close to town and Pisgah. Thanks for renting the cabin! We've stayed at a few other places in the area and this one one of the best. Easy to get to from 280 and close to a lot of great outdoors. Fantastic view as well. I'm sure we'll be back. We are so glad that you enjoyed your stay and hope that you can come stay in the house again soon. Quiet and peaceful. Cabin was very clean. 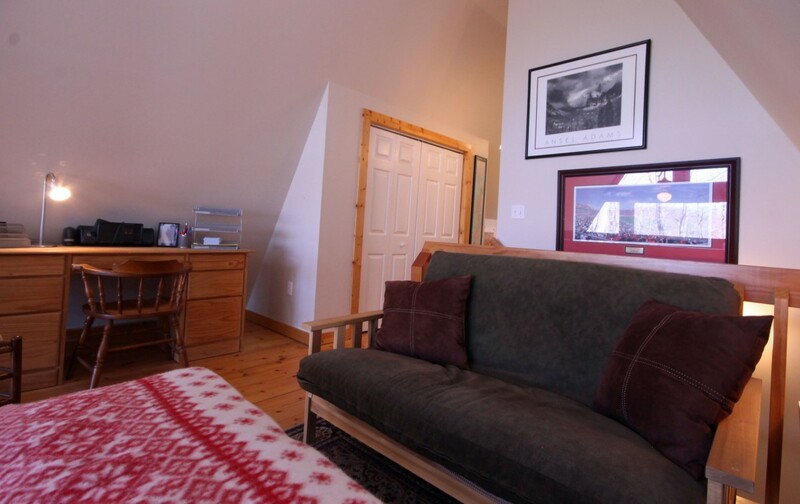 Thank you for renting the cabin it is a great place to unwind and enjoy the peace and quiet. We had a wonderful time here. The house and location is just as shown in the pictures. Very secluded, yet close enough to Brevard and Pisgah. Large area for picnicing, bon fire, or just relaxing. It is perfect for a couple or family. We did not use the internet as it was nicer to just relax and only watched one movie. Kitchen is well equiped. The house was very clean. This house is a great place to go to unplug,slow down and enjoy the outdoors. Thank you for renting from us and we hope that you can come again soon. We were looking for a quiet place to stay in the mountains-and this was it. Nice and cozy, up on a hill with great views. The home was spotless.Nicely decorated-some vacation homes look like the owner dumped all their leftovers, but not here. Very close to Brevard and Pisgah Forest attractions. This is a new rental property for us and I am still blown away by the views. 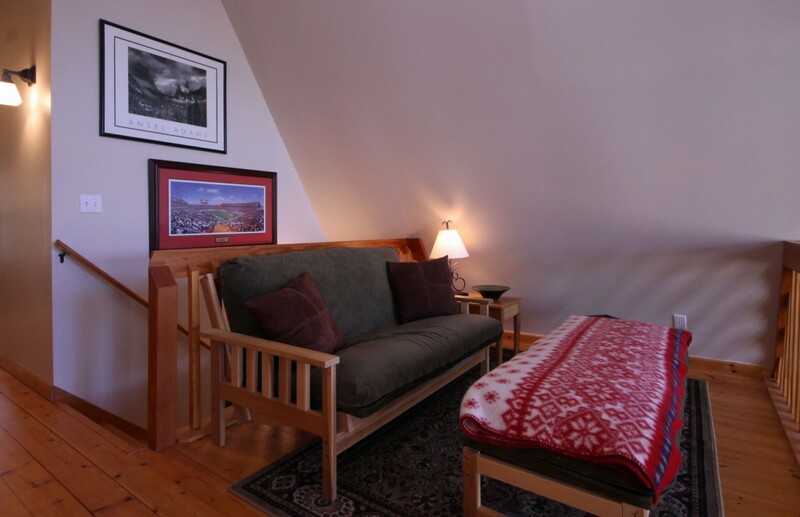 Thank you for renting the house and we hope that you can come back and enjoy a mountain summer trip. There are so many great places to explore and swim in the warmer months. We really enjoyed our stay here. Everything met our expectations after viewing the pictures posted on line. This home is so cozy and the private and the views are outstanding. We loved the proximity to the town of Brevard and all of the outdoor activities that the area provides. Thank you for renting the house. The views are truly amazing.